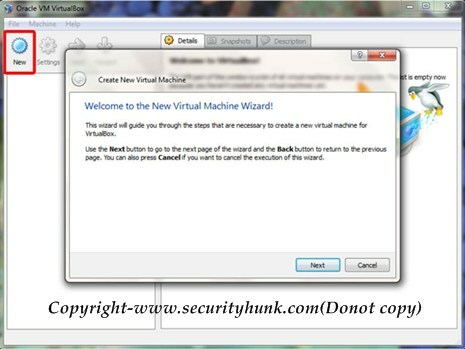 Home / Intrusion Detection / Penetration Testing / RATS / Security / Security Tools / Virtual Box / Virtual Environment / Virus / Windows / Windows Xp / How to create Virtual Environment using Virtualbox. How to create Virtual Environment using Virtualbox. There are many occasions where we will need to have several operating systems in our computer. Think that you’re a software developer and now you need to test your software under different platforms! Or, you need to try out several operating systems to review about them or to pick the best OS for your machine! Or suppose you download a file from torrent or other external link and don’t trust that file then you can run it in your virtualbox to notice its behavior and save your Host PC from getting infected. *But the problem is what is the easiest method to have several operating systems in your PC? Install them in your hard drive and mess things up when you want to remove them? Actually, there’s a better way to solve this problem. 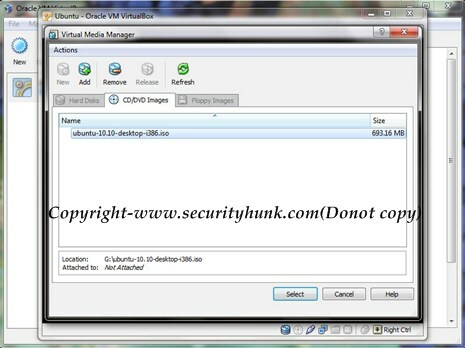 "Here the programs are run in an isolated OS on a virtual hard disk as shown in the image below.The program do not have physical access to the host OS. Refer the image below to understand the concept." *VirtualBox is one of the best free applications which will allow you to easily install and manage several virtual machines. *Virtual box is a great asset a computer security professional, hackers, penetration testers.Using it one can create a pentesting lab to work on with out spending a buck from the pocket. So, today we are going to see how to install Ubuntu inside Windows as a virtual machine! 2.Must have a RAM of atleast 1GB for proper running. Step 3: Next set the amount of memory for the virtual machine and click “Next” (Do not give too much; keep some to your own system. Do not go to the red colored area.) In my system, I have 4 GB of memory, so I gave 1 GB for my virtual machine. The memory amount changes from OS to OS. For windows, you need more memory than Linux, so choose it carefully! Step 4: In the next window select “Boot Hard Disk” (By default it’s selected) and select “Create New Hard Disk”. Now click “Next”. *After that, the Create New Virtual Disk Wizard will start. Click “Next” in the Welcome screen. *Next, give the size of the disk you want. For Ubuntu, the default size they offer (8 GB) is more than enough. So, keep it like that and click Next. After that, click on Finish to create the virtual disk. This will create an 8 GB virtual disk on your machine. *Now that you’re running your virtual machine for the 1st time, they will run a wizard called “First Run Wizard” which will help you to select the installation media of your guest OS. Click on “Next” in the first screen. After you’re done adding the image or setting up the CD drive. Click on “Next”. Finally, click “Finish”. Now it will load the installation CD you have provided and you can continue with installing your OS! So, what do you think? Isn’t it a piece of cake? How many operating systems are you planning to install? Please feel free to share your ideas with us! I just wanted to ask if we create a fixed size storage then our HDD will allot the whole disk space as setted..but if we use dynamic it does not allot the whole space rather size is in KB's how come it has this difference??.. As the name suggest "DYNAMIC" it keeps on expanding to its limit as allotted..initially is has small size (as u mentioned) but as we use the guest OS and store data on it the dynamic disk size expands....but in "FIXED" initially a certain amount of space is fixed in the host OS so it doesnot expands. Thank you for sharing a wonderfull tip. @ DTH Then you must be living in a virtual world bro! I have been using Virtual Box for many years.. I use them to try out new Linux distros.. To learn how to configure servers... To test out software.. and also to Write blog posts! There are quite a lot of uses from virtual environments! Thanks mate..thats wat i was looking for a long time.. I have virtual box but don't how to use that. This article will sure help me. My name is Archana...i heard running many os on virtual platform will create bad sectors on Hard disk...can someone throw light on this matter so tat it will be helpful for me...?